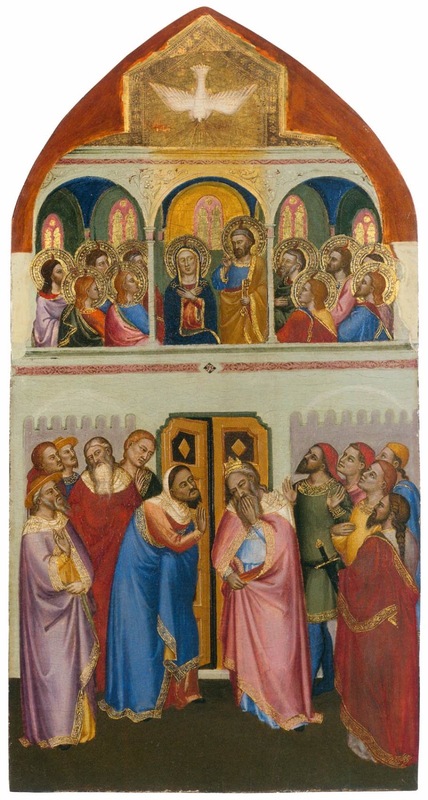 The late 12th-century liturgical commentator Sicard of Cremona explains the texts of the Mass of Ember Wednesday in the Octave of Pentecost, and why the summer Ember Day fasts are united to the solemnity. The Gospel reveals this to us mystically in the story of the five loaves and two fishes, which were multiplied between the mouths of those that ate them; likewise, the Law and the Prophets are multiplied in the studies of those that contemplate them. … And note that two readings are done (before the Gospel), since two people are converted to the faith (i.e., the Jews and the gentiles), and because those who are to be ordained (at the Mass of the Ember Saturday) are instructed in the pages of both Testaments. Before these in the Gospel is set forth bread, that is to say, the Sacred Scripture.